Rent a private jet or luxury charter plane to Dubai or any destination within the United Arab Emirates with Dubai Private Jet Charter. Enjoy access to thousands of private jets at a moment’s notice, no matter where you’re located. You’ll also benefit from the best deals and rates on private flights to Dubai, along with the highest levels of safety and service in private aviation. 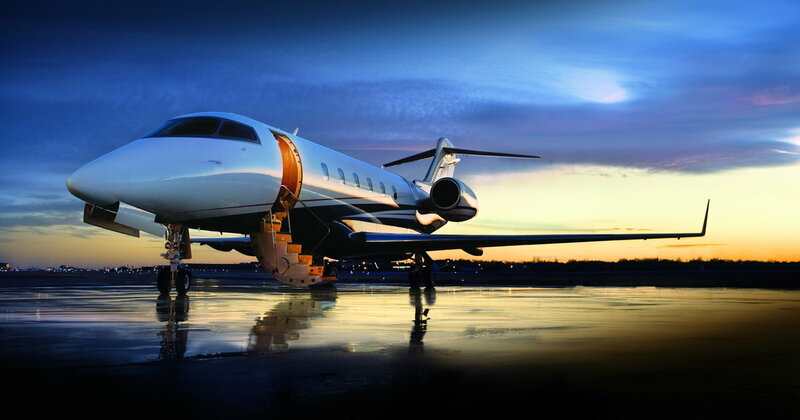 Private jet charters allow executives, HNWI’s, and luxury travelers to take full control of their air travel, enjoying unmatched freedom and flexibility compared to commercial airlines. Choose the day you want to fly on, when to depart, which airport to use, the private terminal you prefer, and enjoy private charter flights to/from Dubai without any of the membership fees and upfront costs associated with jet cards and fractional programs. Private terminals at airports in Dubai and throughout the UAE allow clients to arrive/depart quickly and discretely, and offer luxury travel services for passengers and pilots. No waiting in security lines. No pat downs by airport agents. No checking your luggage. Simply pull up on the runway next to your aircraft, show your ID to the pilots, and board your charter plane. Chartering a private jet to Dubai is the fastest, most secure, and most stylish way to travel to the UAE. Spend less time at the airport, less time in the sky, and less time waiting in lines—private terminals offer seamless arrivals, and luxury ground transportation or helicopter charters can be arranged to await your arrival on the tarmac. There are more than 4,000 brokers arranging charter flights around the world. How do you know the company you’re working with is qualified to handle something this important? We’re one of less than 100 brokers that are Wyvern-certified, using safety standards and due diligence processes that exceed FAA and civil aviation requirements, and fall in line with those used by many of the top corporate flight groups around the world. When curating aircraft options for charter flights, we review third party safety and maintenance reports with detailed information on all of the aircraft and pilots within our network of more than 10,000 private planes. Not limited by any fleet, you’ll gain instant access to a floating fleet of charter planes, from turboprops and lights jets to long range luxury jets and VIP airliners. After removing options that don’t meet our standards, we use over a decade of experience and relationships across the industry to offer our clients the best deals on private flights to/from Dubai. This includes comparing one-way pricing, multi-leg routing, or using empty leg jets and transient planes when available in the Middle East. Just as we’re not limited by any fleet, we’re not limited to bespoke jet charters, either. Our comprehensive aviation services include air cargo, medical flights, corporate flight backup, jet card memberships, private jet management, and charter marketing for aircraft owners. Based in the United States, our services are available 24 hours a day to become your global source for luxury and executive aviation services in Dubai, UAE. Request a free charter quote today or call us directly at 1-888-987-JETS (5387) for the latest pricing, rates, and availability. Our private jet services extend beyond Dubai, from arranging private flights to the UAE, Saudi Arabia, Qatar and the rest of the Middle East, throughout Europe and Asia, and across oceans to North and South America. We can also book private jets for international flights anywhere around the world – no request is too big, too small, or too out of the ordinary! Dubai Private Jet Charter offers a one-on-one consultative jet charter service experience to busy corporate executives/CEO’s, executive assistants, personal assistants to media members and celebrities, and leisure flyers. When chartering a private plane to/from Dubai, you can depart or arrive using any of the following airports. Handling more than 88 million passengers in 2017, Dubai International (DXB) is the world’s busiest commercial airport for international traffic, third overall in total passengers, and ranks sixth for air cargo flights. Fortunately for private flyers, there are three private terminals that offer fast, discrete arrivals, and quick transfers between first-class commercial flights to your chartered aircraft. Private flights can also be arranged at Al Maktoum International (DWC), with five private terminals, customs & immigration available, and FBO services focused on executive aviation. Dubai Private Jet Charter offers access to a floating fleet of private jets and luxury planes based in Dubai, and located at airports around the world. All of the planes we utilize are operated by FAR Part 135 or 121 (or foreign equivalent) air carriers, flown by pilots with high levels of experience in the make/model plane you’re renting. Our brokers review third-party safety reports to ensure compliance, reviewing operator, aircraft and pilot history to offer peace of mind when arranging your flight. From media members, athletes and celebrities to government officials, executive teams, and royal family members, we understand the requirements and demands for these flights, and go the extra nautical mile to deliver the best air charter experience. Most of the private flights we arrange to Dubai originate in the United States or Europe. Some of the most popular choices for Dubai business jet rentals include Heavy Jets (Challenger 604/605/650; Gulfstream G4/G450/G550, Falcon 2000LXS) and Long Range Jets (Falcon 7X/8X, Global 7000/8000, Global Express XRS, Gulfstream GVI/G600/G650). Large group charters can be arranged using regional and VIP airliners including Airbus Elite’s, Boeing BBJ’s, and Embraer ERJ’s for conferences, meetings, and special events in the UAE. The following rates for private jet rentals are averages based on previous flights and rates across the charter market. Prices are subject to change, and based on availability. Hourly rates shown are for securing an aircraft rental, and do not include fuel, taxes, and other operating fees. How much does it cost to charter a private jet to Dubai? The price of your private jet rental will vary based on aircraft type, make/model, routing, scheduling, and a variety of other factors. For the most accurate price on Dubai jet rentals, request a a free all-inclusive quote from one of our brokers, or call us directly any time, anywhere. Dubai and surrounding areas of the Middle East are home to an emerging charter market, with more charter planes becoming available across the region. As result, we may be able to locate an empty leg private jet returning to the UAE, potentially saving you up to 50% or more on the cost of your charter jet! 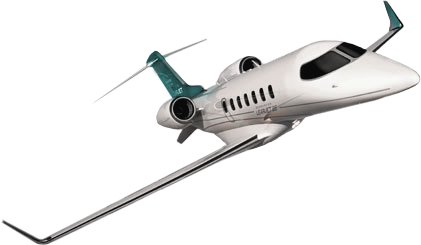 * Hourly rates for private jet rentals are for the aircraft only, and do not include fuel, taxes, and other fees. 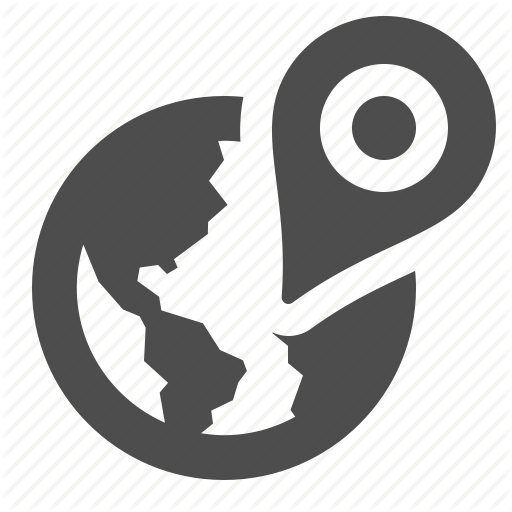 Prices and rates vary depending on aircraft type, make, model and year, as well as amenities, routing, scheduling/availability, and more. Ask your broker for a free charter quote for the most accurate and competitive pricing on air charter service. The second largest of the seven Emirates that make up the United Arab Emirates, Dubai is located along the Eastern coast of the Arabian Peninsula in the southwest corner of the Arabian Gulf. 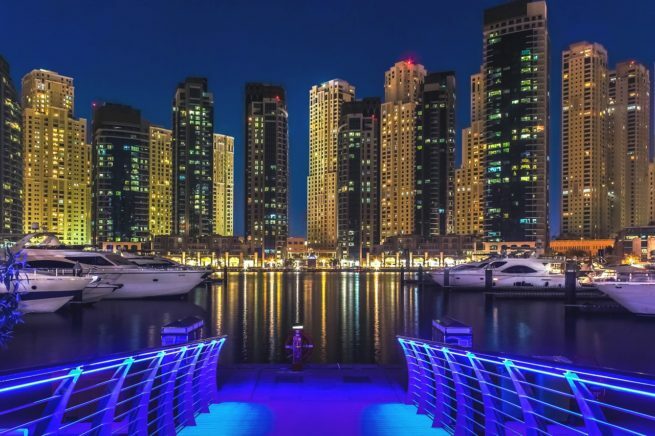 In addition to being the capital of the UAE, Dubai is the nation’s financial, commercial, and transportation hub, as well as it’s centerpiece for education, fashion, entertainment, and tourism. The emirate also includes a small enclave called Hatta, located near Oman and the Hajar Mountains, where many wealthy resident of Dubai break from the hustle and bustle of the city. 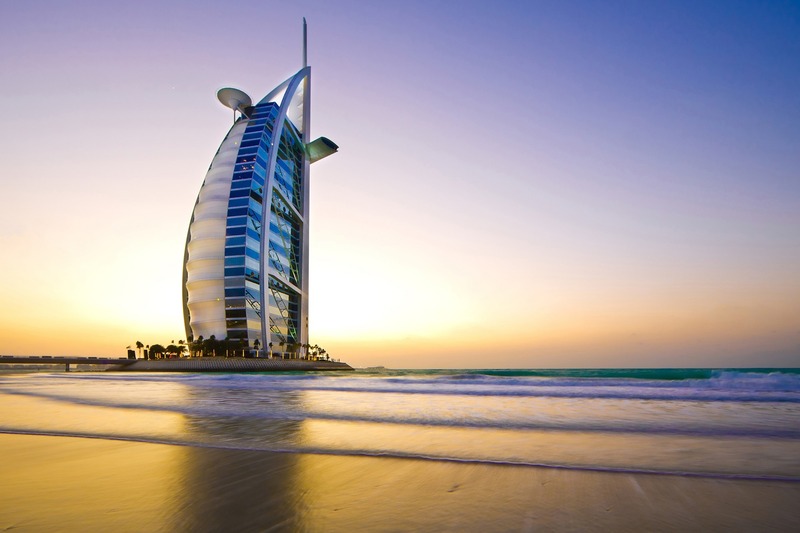 In regards to tourism, Dubai is the most popular destination in the Gulf Region. Often referred to by nicknames such as the “City of Gold“, “Glittering City in the Middle East”, “The Desert Miracle”, and “Vegas on the Gulf”, Dubai is world famous for its incredible architecture, unique multi-million dollar real estate projects, and one of the world’s most impressive skylines. Some of the aforementioned landmarks and buildings include the Burj Khalifa, the tallest building on the earth; the Burj El Arab, the world’s tallest, most expensive 6-star hotel; the Emirate Towers, which include the Emirates Office Tower and Jumeirah Emirates Towers Hotel, two of the 30 tallest buildings in the world; and the World, an archipelago of 300 islands that form a map of the earth. 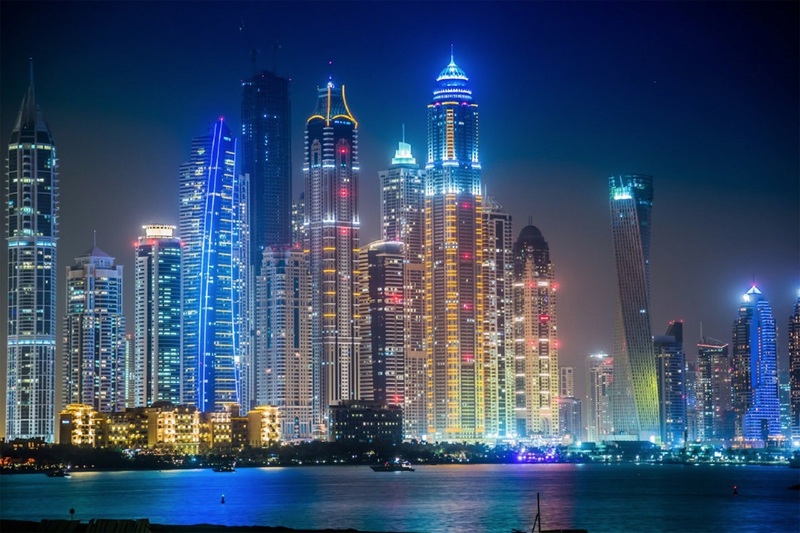 From impressive skyscrapers, luxurious resorts, upscale shopping, world class sporting events and golf courses, and high profile business conferences and industry events, Dubai offers a world of opportunity to luxury and business travelers visiting Dubai, UAE. Wyvern Certified, our company carries safety standards and due diligence processes that meet and/or exceed those used by Fortune 500 companies for their own corporate jets. That means you can expect the same high levels of safety, privacy, and comfort when arranging Dubai executive jet charters. Enjoy access to Wyvern Wingman or ARGUS Platinum aircraft on the fly—if your private or corporate plane experiences a mechanical issues and becomes grounded, we can have you in the air in as little as 4 to 6 hours, and we can arrange additional business jets for simultaneous trips, or flights outside your aircraft’s capabilities. Our private aviation team offers unlimited quotes with zero obligations. If you’re a fractional aircraft owner or jet card member, feel free to compare us to your current plan before using your flight hours! Looking for a jet card membership? Interested in becoming a fractional/individual aircraft owner? We offer 25 hour jet card, 50 hour jet cards, and 100 hour jet cards to lock in rates on your preferred aircraft type, assist individuals and flight departments in sales and acquisitions of private planes, and offer charter plane management and marketing services around the world. Our Dubai Jet Charter team is your complete source for executive aviation in the United Arab Emirates and surrounding areas of the Middle East. Flying private to destinations throughout the UAE is easy, with private jet airports available in Abu Dhabi, Fujairah, Ras Al Khaimah, and Sharjah. Discuss all of the airport options available in the United Arab Emirates with your broker to determine which best suits the goals of your emirates-bound flight. Call us at 1-888-987-5387 for the latest pricing and availability on private jet charters to/from Dubai, UAE. Our company believes in providing private flyers with aviation services that exceed all expectations, and that your time, privacy, and safety are the most important aspects of what we do. We’re available to answer all of your questions by phone or email 24 hours a day, 7 days a week, 365 days a year. Call us today and enjoy quick response times, an easy, hassle-free booking process, and the best deals on private jet rentals.